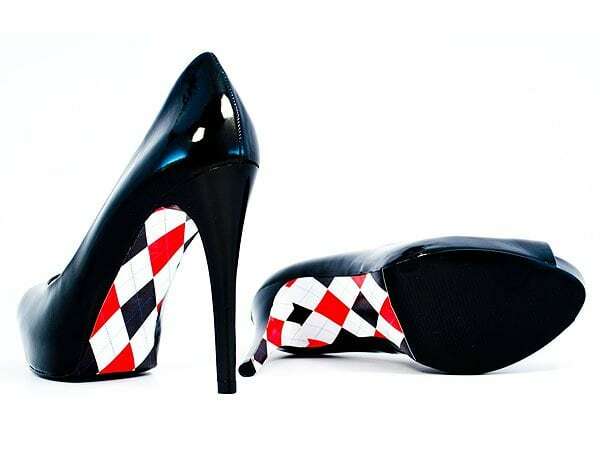 Stumped on what to get your shoe-crazed loved one for her birthday or Christmas this year? 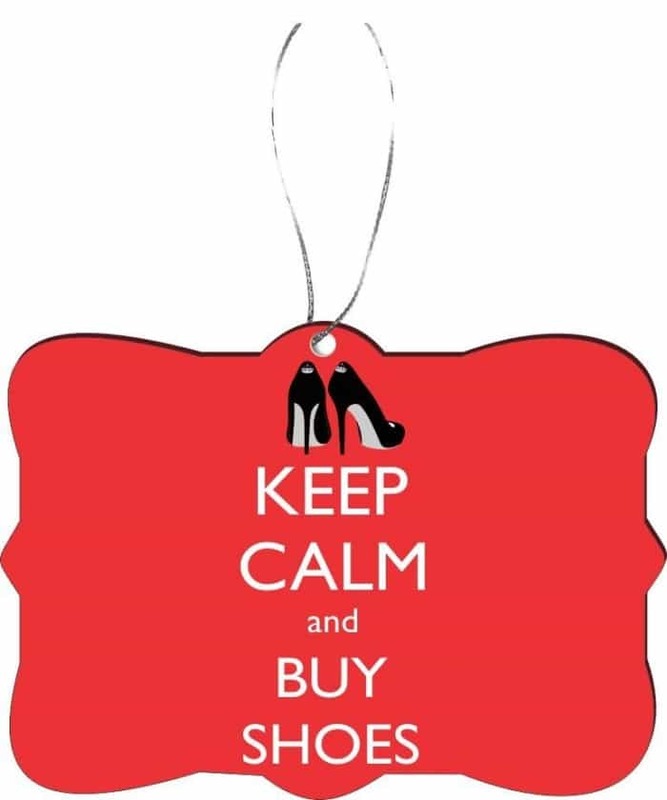 You’ve come to the right place for shoe lover gifts! If you ask us — and we say this with all bias — shoe lovers are the easiest people to shop gifts for. Barring actual shoes and shopping gift cards, here are 22 cute, cool, and chic stocking stuffers guaranteed to make your footwear fanatic friend go head over heels. All are shoe-themed, of course, and most are just $40 and under. 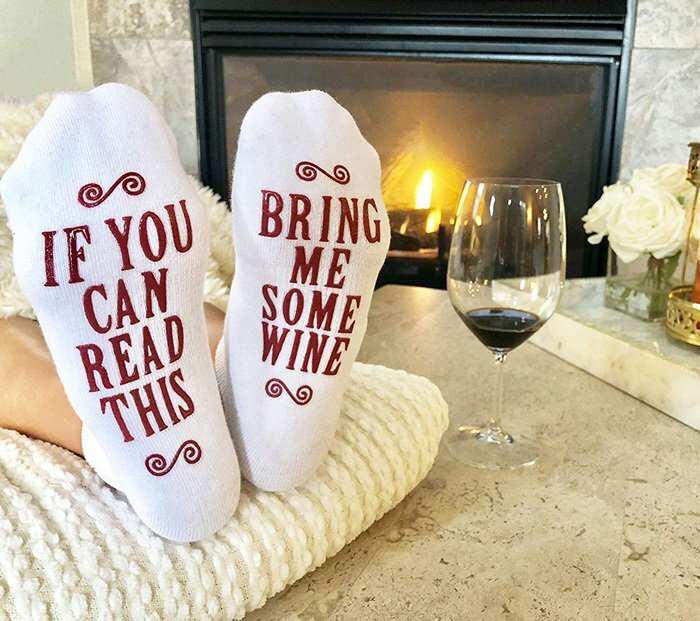 If you need even more gift ideas, check out these shoe wine bottle holders and high heel cell phone stands! Just in case your gift receiver needs a reminder, stuff their stocking with this fun and quirky ornament to spread holiday cheer. 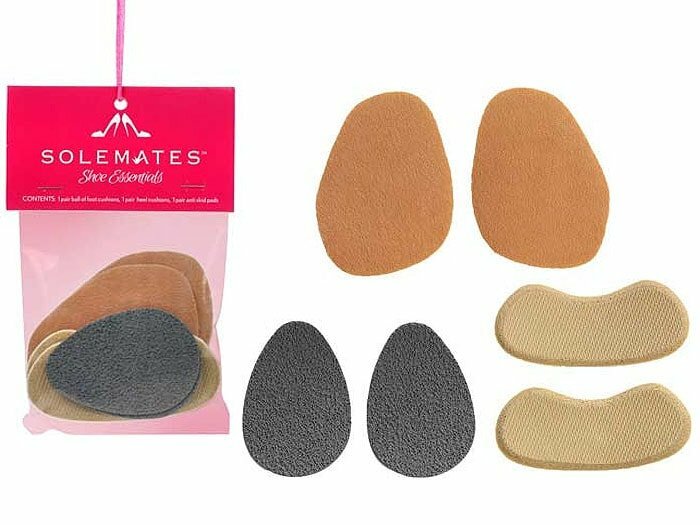 Your gift receiver won’t ever have to worry about navigating grates, grass, and pebblestone floors in stilettos with these Solemates High Heelers. 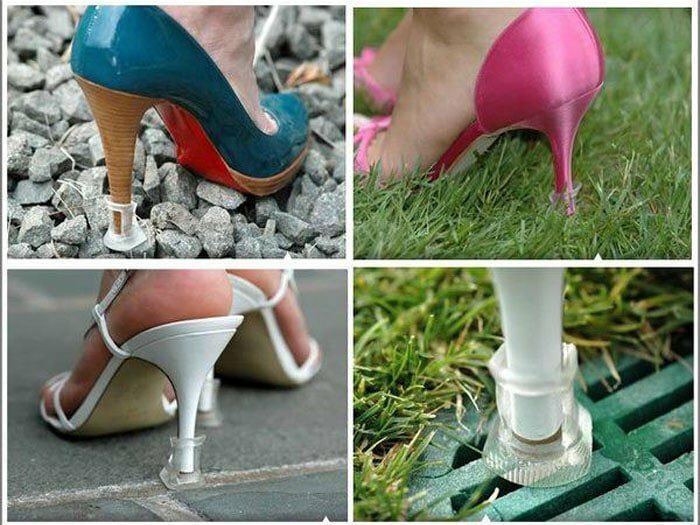 Beach weddings, garden parties, soccer games — these nifty little inventions allow heels to be worn to any event as pleased. We love these so much, we wish we thought of it ourselves. 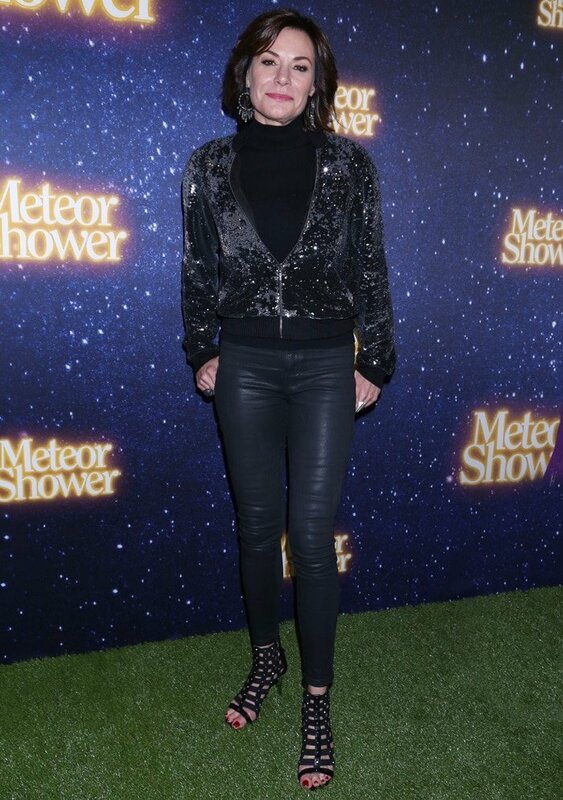 Since they are mechanically engineered to prevent heels from sinking into grass, Luann de Lesseps could have used them when she attended the opening night for the new Broadway comedy ‘Meteor Shower’. 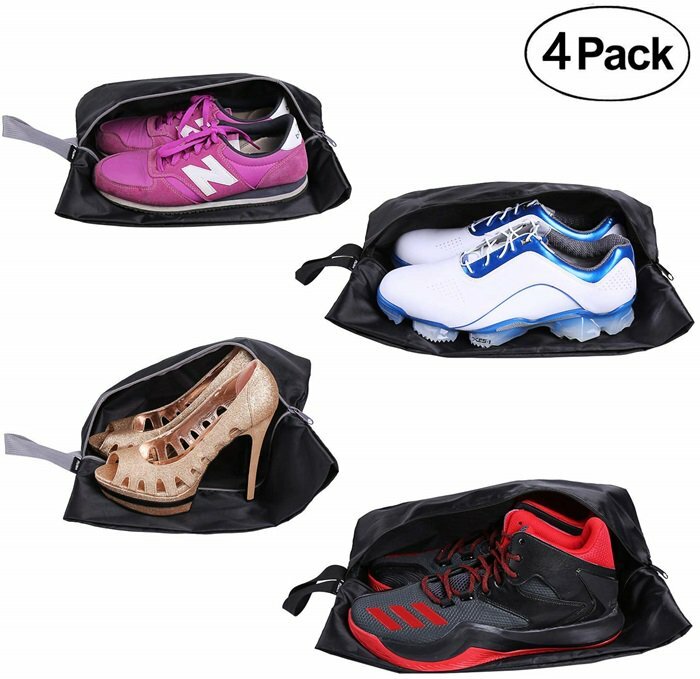 A waterproof shoe bag for travel is a must-have for every shoe lover. This set accommodates 4 pairs of shoes and features a convenient carrying handle perfect for the woman on-the-go. 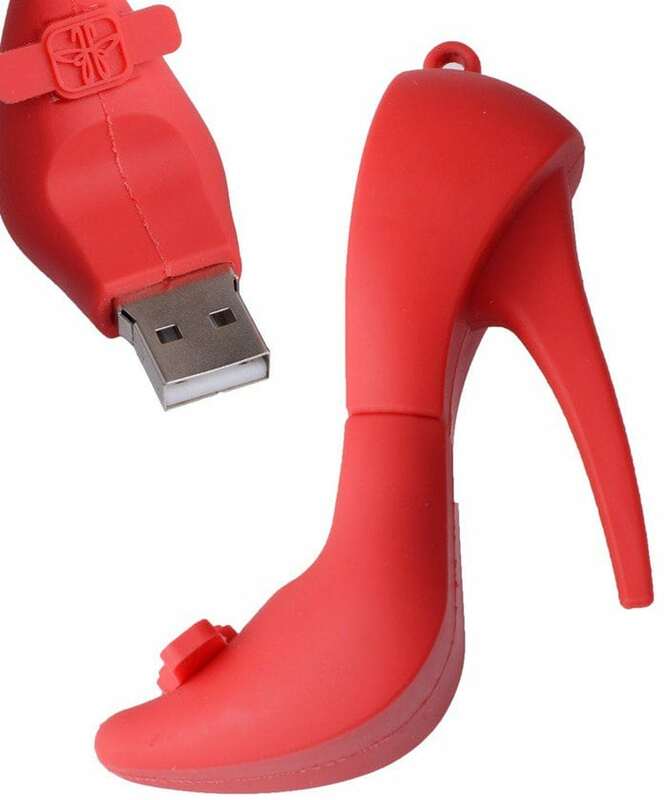 Gift this stiletto flash drive as a work tool and as a reminder of what you love most! 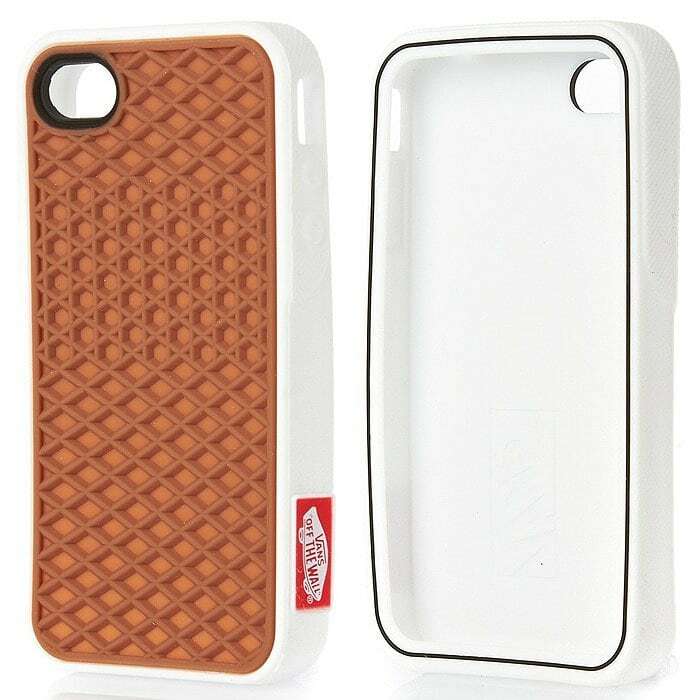 For the smartphone-using sneakerhead, here’s a phone case that’s textured like Vans soles. 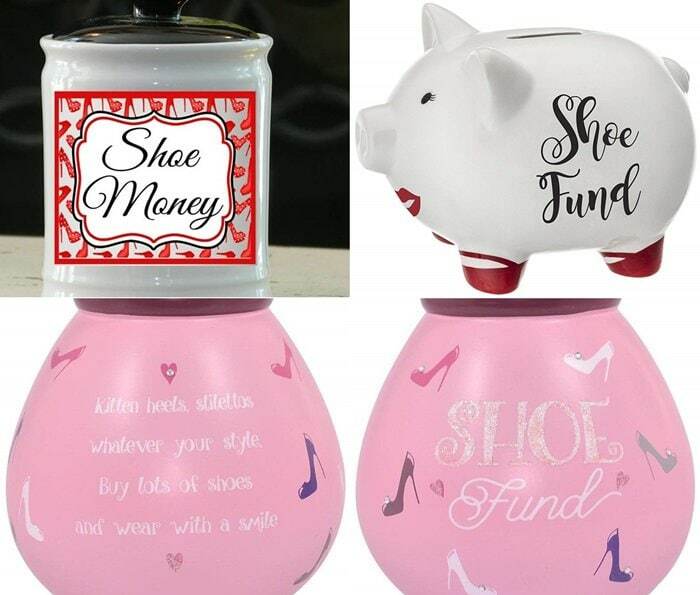 If you need help saving money for shoes, check out our guide to see the best money jars and piggy banks for shoe lovers! 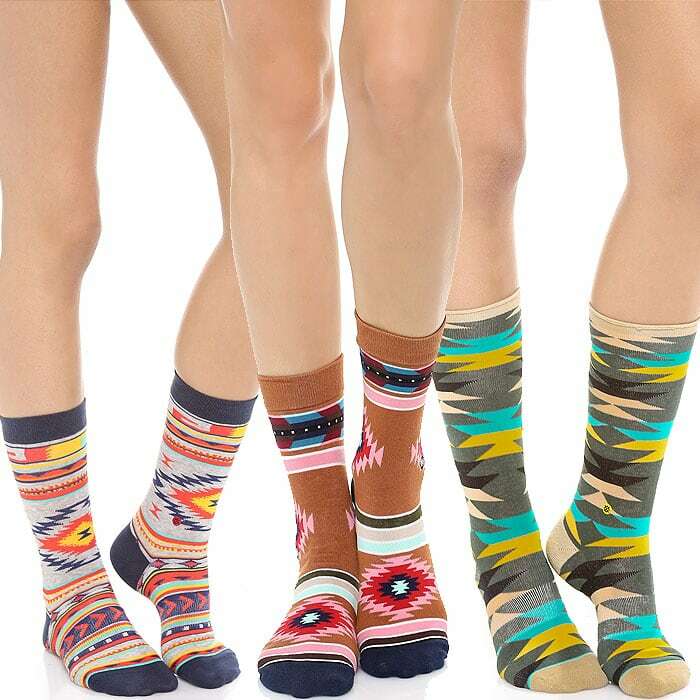 Who doesn’t love the feeling of wearing a new pair of socks? You can also get these fun novelty socks with a similar design for chocolate and coffee lovers! 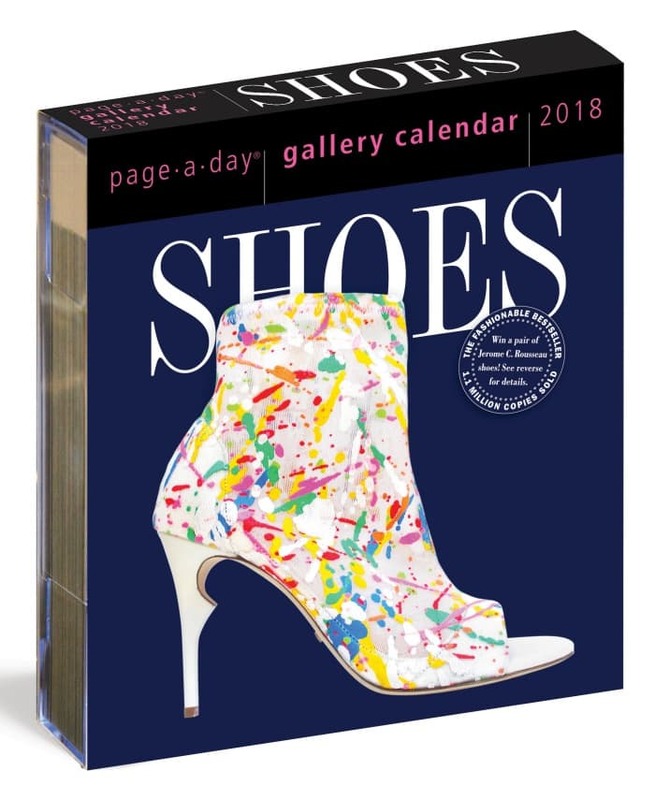 We’d gift this shoe-a-day calendar ourselves as a supplement to a Your Next Shoes daily shoe fix. Don’t miss the best shoe calendars to get this year! 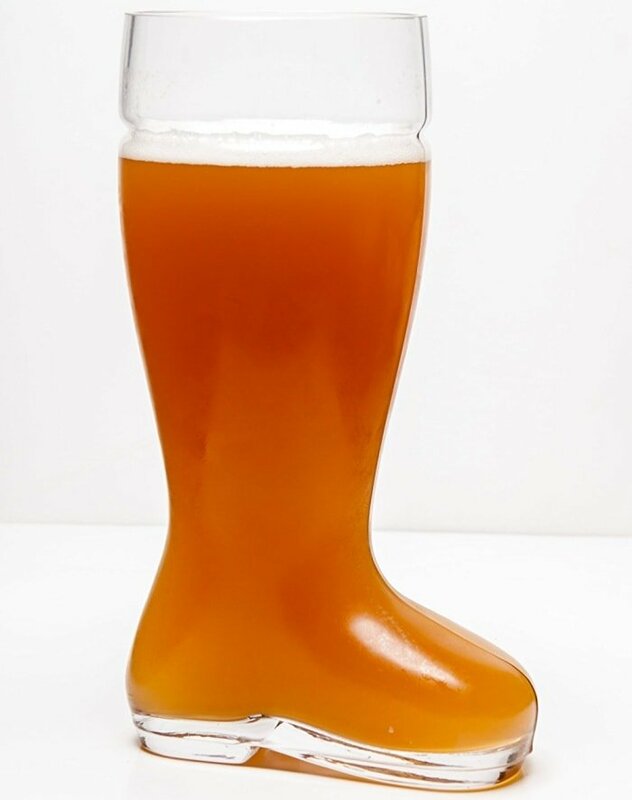 We just couldn’t resist this boot-shaped glass. And it’ll fit perfectly in a Christmas stocking, too! 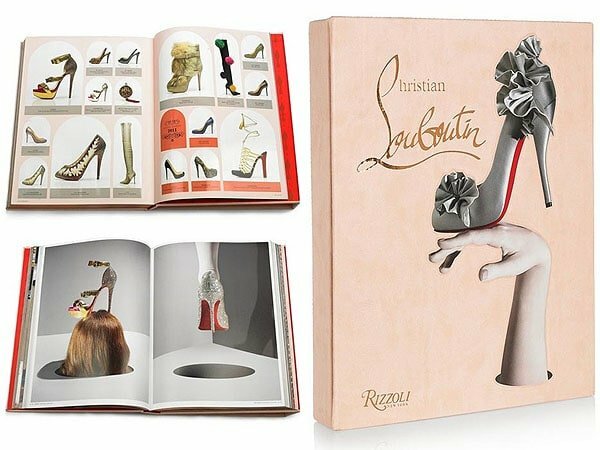 There are tons of books on shoes to choose from, but we know a shoe lover would really appreciate this ‘Christian Louboutin by Christian Louboutin’ hardbound book. Not exactly inexpensive but most definitely WORTH IT. 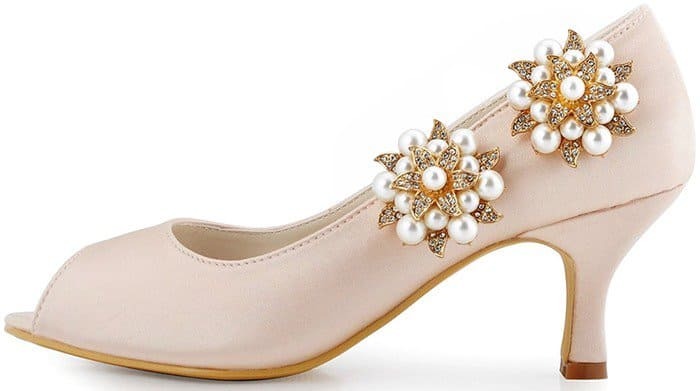 We always recommend shoe clips as a gift for shoe lovers. 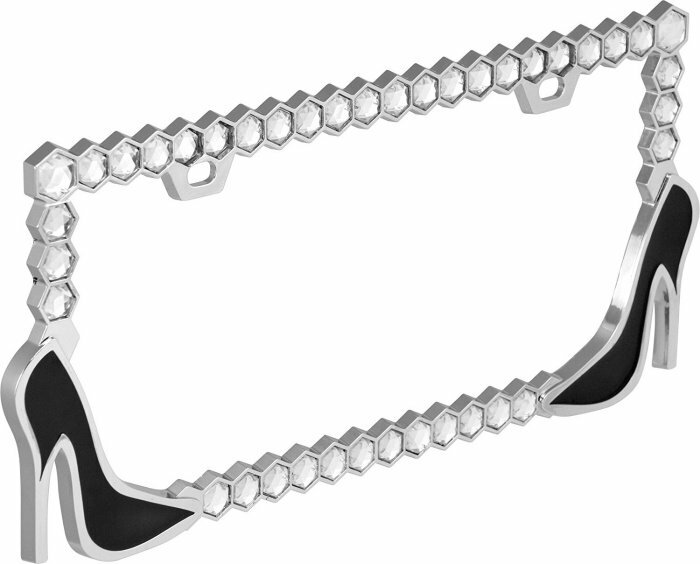 One of our favorites is the chain style like this Erica Giuliani heel chain shoe clip, which you can attach either to the front or to the back of shoes. We’re staunch advocates of adjusting your heels so they’re more comfortable to wear. All high-heel-wearing women should discover the wonders of inserts, cushion gels, and pads. Lucky rabbit’s foot? 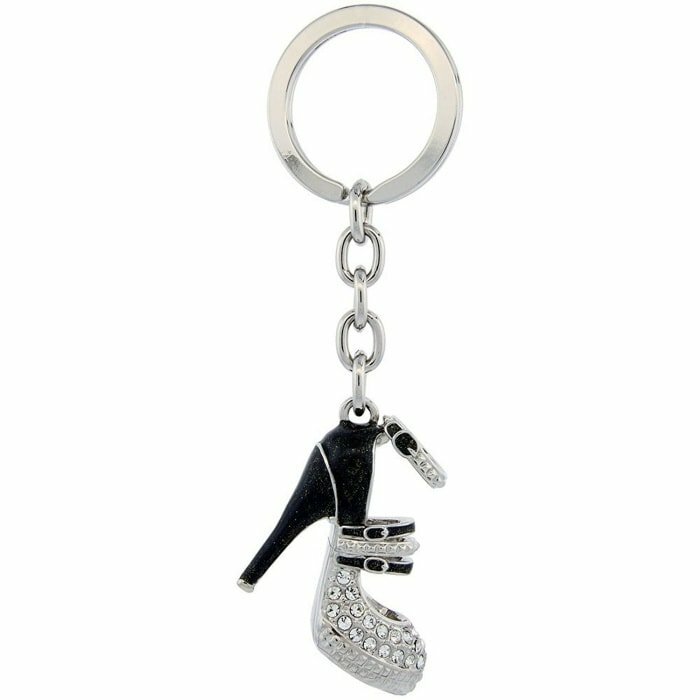 No, we shoe lovers have stilettos as our lucky charms. Give the gift of a fabulous license plate frame complete with a single row of large faux diamonds and two fabulous high heels. 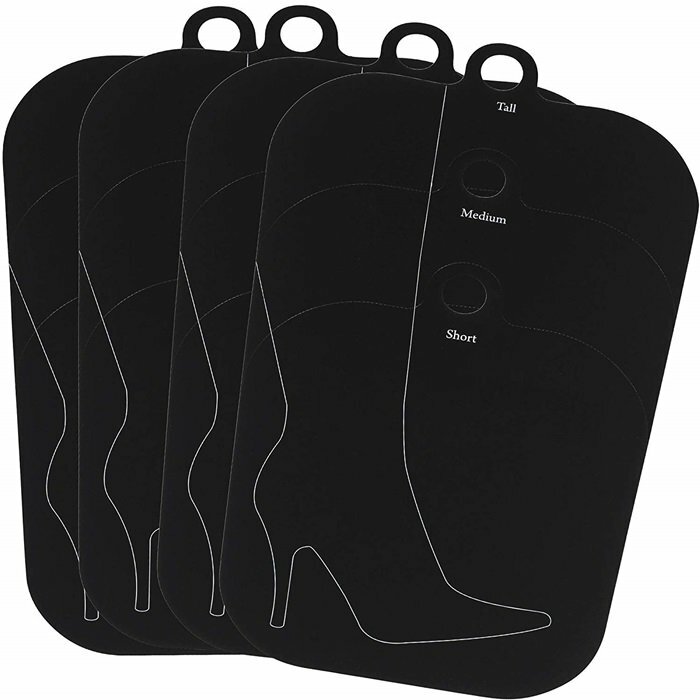 Blow your loved ones away with these reusable boot shapers designed to keep their favorite boots from getting unwanted cracks and maintaining their shape. This JewelryNanny cage bootie metal wall hook is marketed as a jewelry organizer, but we know a shoe lover would proudly display this right at the entrance of her home where she can hang her coat, purse, and keys! 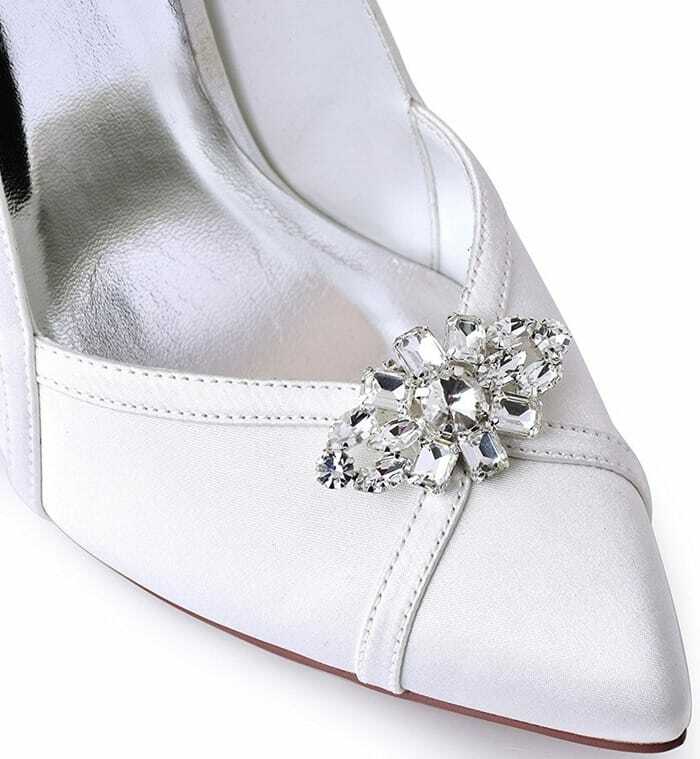 One of the most famous shoe-related quotes, this Marilyn Monroe “Give a girl the right shoes…” quote wall decal should be prominently displayed in every shoe lover’s shoe closet. 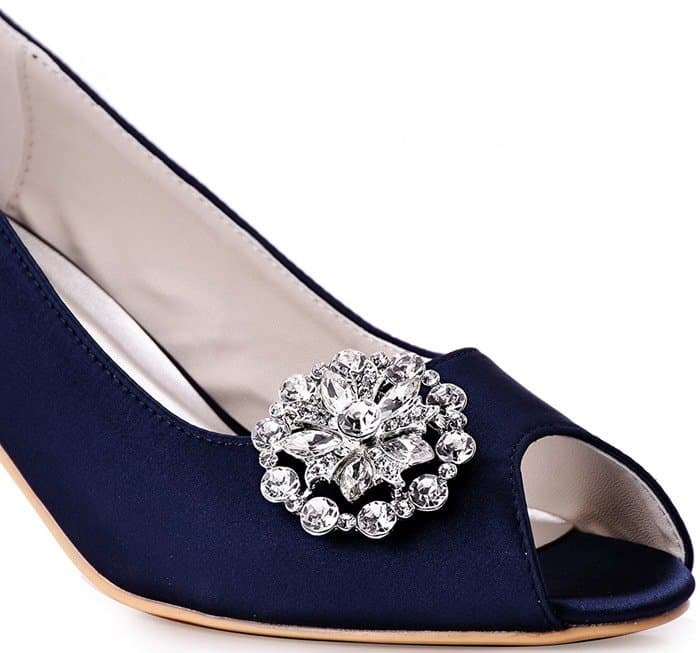 Here’s a quirky one for the shoe lover who loves to entertain. 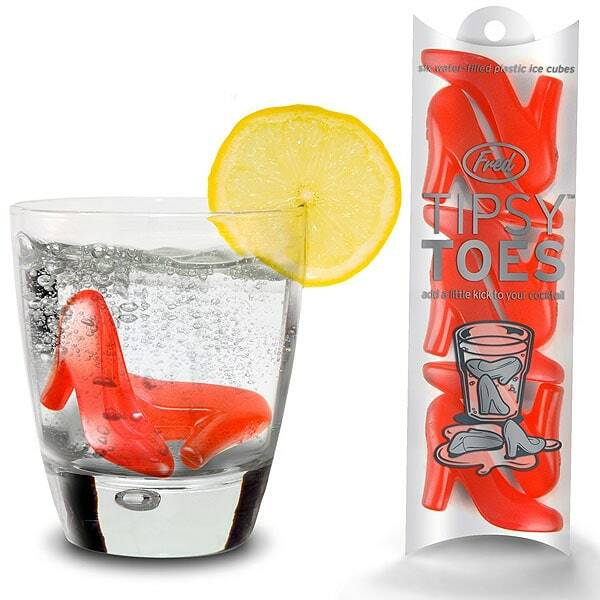 These Fred and Friends Tipsy Toes reusable ice cubes cool down drinks without watering them down. 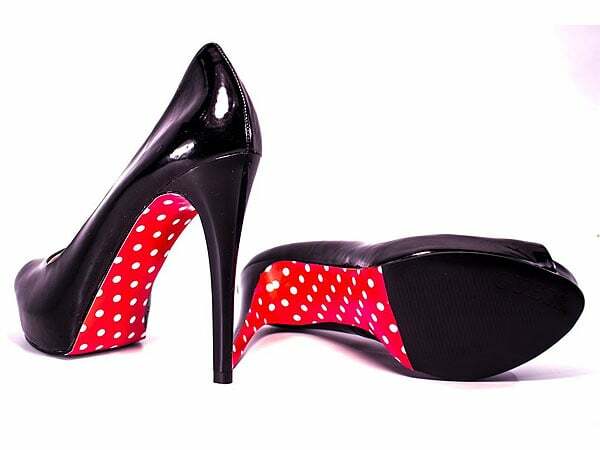 Heard of that girl who has made a business out of red decals that you stick to the soles of your shoes for that coveted red-bottomed look? 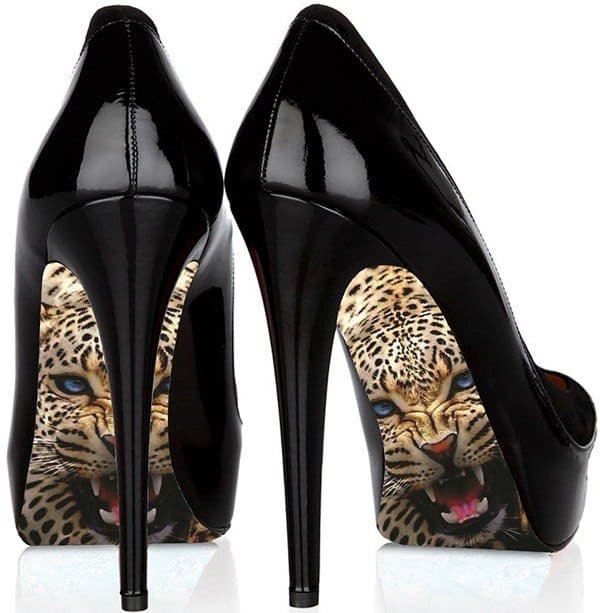 Archys has taken that further and has made these cute Archys high-heel fashion decals. Below are some of our favorites. They’re $7 a pack, and each one is enough to style two pairs of shoes. Everyone likes coffee and tea. 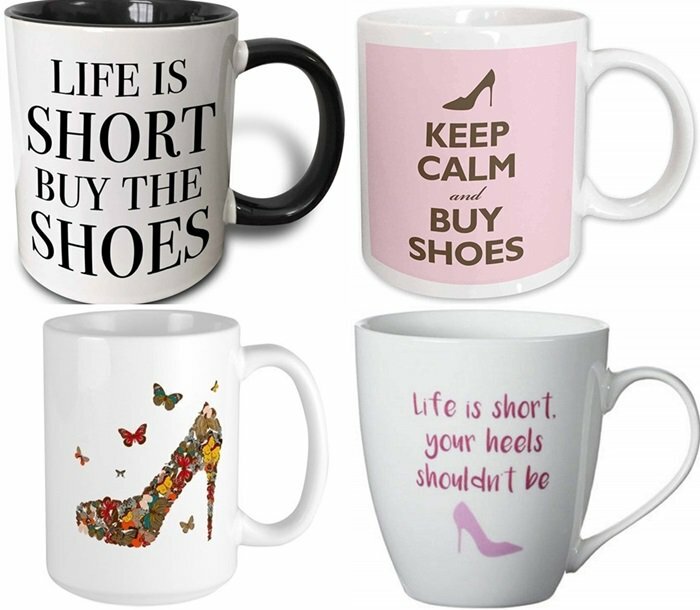 While not the most exciting gift in the world, you can’t go wrong with a fun shoe coffee mug or high heeled cup. 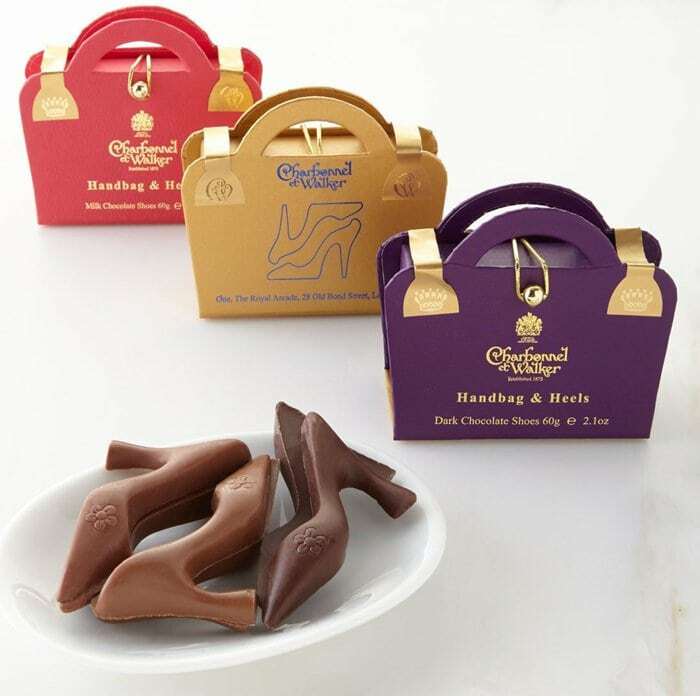 Stylish as well as tasty, this treat from one of Britain’s oldest chocolatiers is a great gift for any lady who loves shoes. It includes mouthwatering milk chocolate heels and a gold embossed box designed to look like a handbag. We were surprised to find this kit for $20 at Saks when the price at Amazon is $50! No matter where your travels take you, keep your kicks fresh with this kit containing a premium shoe cleaner, a mini brush, a microfiber towel, and three quick wipes.